The PowerPlay energy monitoring and control system gives you feedback and sound advice on your home electricity use. At any time of the day the PowerPlay app instantly displays the information you need to get lower electricity bills. Not only that, PowerPlay keeps a record of usage over time so you can compare today’s usage with last month’s or last year’s. 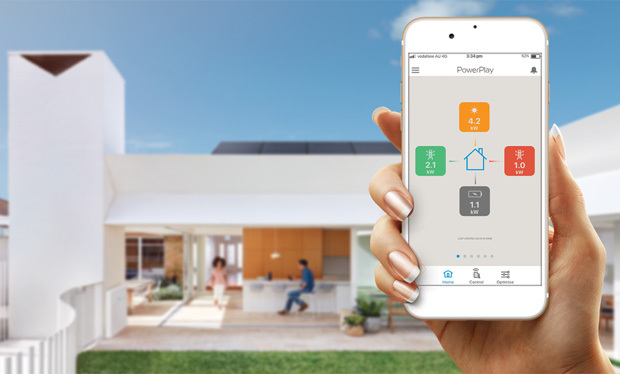 With updated functions and a new look, PowerPlay is ready to take on the challenge of making your home energy efficient. No one knows more about your electricity use than your home itself. But until now it’s been impossible to access this information because it’s coming from different sources, like your solar panels, home battery or the main grid. Now PowerPlay changes the power game to give you a winning hand in the quest to cut power bills. The PowerPlay app tells you what’s happening with your home electricity use. With the PowerPlay app you can monitor electricity use from your smartphone or tablet – you can even turn appliances on and off remotely for more efficient power use. PowerPlay does more than that show you what’s going on with your electricity use. The app sends you messages when it notices something unusual happening with your power use. It also tells you when you’re using less power and how much money you’re saving based on your electricity plan. The app monitors all your energy resources, from your solar panels to your battery. 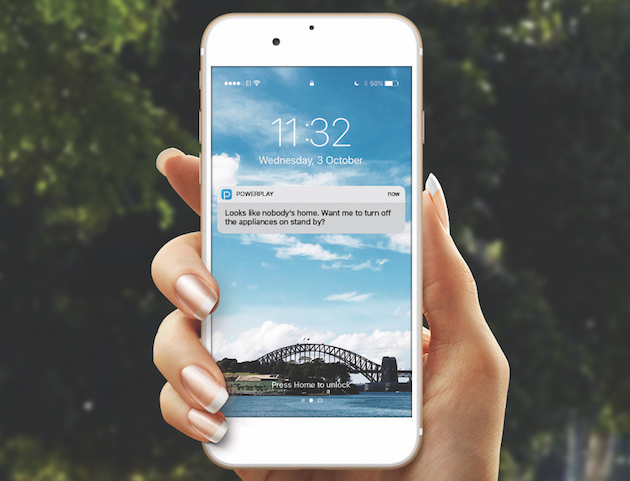 The PowerPlay app is like having an energy advisor in the home 24/7. It gives you the data you need to make practical decisions about your energy use and cut your power bills. If you have solar or battery storage systems, PowerPlay shows how much power you’re using and generating. At the same time it’s making smart decisions, like switching to battery power when grid power is most expensive. It analyses the way you live and suggests ways to help, like prompting you to take action when it spots an opportunity to save. Being energy efficient has never been this easy. PowerPlay lets you turn appliances on or off remotely, and helps automatically when it knows what you want; for instance, turning on the air-conditioning when you’re generating lots of solar power. There’s a reason so many people choose PowerPlay as part of their solar PV system. It’s because it was designed by one of the most trusted names in solar energy technology – Flex. Take a look at solar brands on the market, and you’ll discover that many of the top tier solar panels are manufactured by Flex. No other company offers the same level of trust and expertise. Flex worked with Google to create Chromecast, helped Nike revolutionise its manufacturing processes, and co-created products for Sony, IBM, KitchenAid and Fitbit. Note that the software requires compatible hardware and interface in your solar power system to provide you with the full range of information about your energy use.